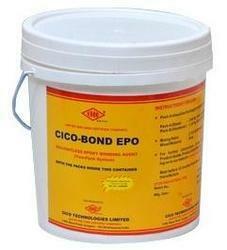 Prominent & Leading Retailer from Noida, we offer cico no. 2 (225kg), cico sealant t680 (g.g) 4kg, cico tapecrete p-151(50kg), cico curefree wp (200ltr. 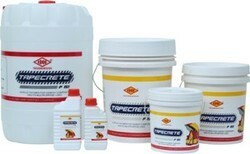 ), cico tapcrete p151(200kg) and cico latex sbr (20kg). It is used to form long lasting weather -resistant and waterproof seals in expansion joints. Features Reduces or prevents salt penetration into concrete. CICO TAPECRETE P-151, popularly known as TAPECRETE is an acrylic based Polymer Modified Cementitious Flexible Composite coating system. Is not affected by ultraviolet light or by chemicals ranging from mild acids to those that are strongly alkaline. Pack size-20kg, 50kg and 200kg barrel. 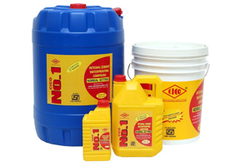 CICO LATEX is a SBR based milky liquid admixture for concrete repair, waterproofing for concrete and mortar, bonding of old to old and old to new concrete and brick work, tiles, coping etc. 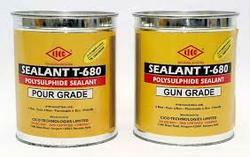 The cement modified Styrene Butadine Rubber (SBR) is in use for the last few decades. Usage/Application Non-rusting and easy maintenance. CICO FLORTOP- RTU is a ready-to-use factory processed and specially graded nonoxidising, non-metallic and mineral aggregate dry shake surface hardener free from oil and grease. USES CICO FLORTOP- RTU when trowelled into the surface of concrete floors forms a toughened hard-wearing surface suitable for industrial use. It is recommended for factory floors, warehouse, hangers and car parks that are subjected to heavy traffic. Packaging Details: 0.5 Kg, 1 kg and 4 kg Kits. CICO SURFACE HARDENER, the flooring and paving topping can be made hard surface which almost become wear and dust proof. It is ideally suited for use in all types of industrial floors which are subjected to heavy traffic and load movement. It can also withstand the impact load due to movement of heavy load over the floor toping. It does not allow any dampness or absorption of water and easy to clean by washing as the surface remains smooth without any hole or crevice etc. 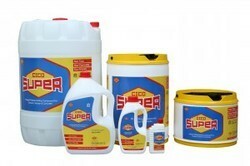 USES CICO PLAST SUPER is used for producing normal grade flowing concrete, pumped concrete, pre-stressed and denser concrete as well as in industrial/commercial flooring and floor toppings. · General building construction including raft, beam, column and slab · Piling, pile cap, bridge decks · Tunnel lining · RMC ADVANTAGES · Improves the workability of concrete without increasing water. · Improves both early and ultimate strength without increasing cement content and without reducing workability. · Internal friction and thixotropy of the mix is reduced to a minimum without the risk of segregation, thus making concrete pumpable without formation of nesting. · Produces self-compacting concrete which can be poured around congested reinforcement and requires little or no vibration. · Significant water reduction minimizes shrinkage crack thereby produces close textured impervious concrete with improved durability and surface finish. 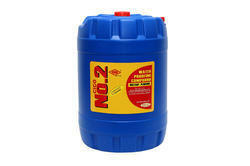 · Useful in most type of concrete above and below ground subjected to water pressure and aggressive environment. · Reduces concrete permeability value and hence ingress of water is reduced which protects embedded steel against corrosion. · Bond strengths of concrete to reinforcement to steel is also increased considerably. · Improves both early and ultimate strength without increasing cement content and without reducing workability. 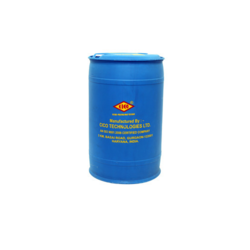 Saves cement (15 – 25%) keeping workability and strength constant. High early strength - plugging is completed within 20-40 seconds. Improves both early and ultimate strength without increasing cement content and without reducing workability. Improves the workability of concrete.